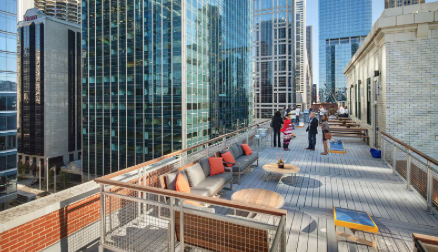 We, at Catapult, are not surprised that cleverbridge is on Crain's list of Chicago's Coolest Offices for 2014. cleverbridge, a Catapult partner, is one of 12 runners up, with its "favorite feature" being the rooftop deck. We are very lucky that we've gotten to experience it first hand this past summer at the Everest Program lunches and our own Catapult Happy Hour. And don't miss the Crain's article about cleverbridge's cofounder Craig Vodnik, Why this tech founder is glucklich (that's German for happy).